It's been a really long time coming, with the 2D action RPG CrossCode being in development for almost 7 years! It now has an official release date of September 20th. At release it will contain the full main story with cutscenes, "dramatic plot elements", plenty of new areas and expanded existing areas, new party members, 9 new enemy types and variations, over 13 new boss fights, 12 new quests and more. As expected nowadays, releasing doesn't mean they're finished with it. They outlined some plans for future updates, which they hope will include: a New Game+ mode, several additional NPCs, quests, and enemies along with more areas to explore. The current Early Access version is still pretty damn good. I've tried it at version points and I've always come off pretty impressed by it, despite a few minor issues that were expected from an unfinished game. The whole idea of the game is quite awesome, as it's set within a futuristic MMO. To make things even more interesting, the protagonist Lea can't even speak at all. Always had an eye on this on. Wasn't going to put time into a story based rpg that's still in EA though. On my Steam wishlist since June 24th 2016 apparently... Just added it on the GOG wishlist as well. I guess I'll have to wait for some of those updates though before I get it and start playing, because I rarely replay games like this even if I enjoy them. I have this game for a long time , 10+hours gameplay so far but i've decided to wait until release to start over. I am intrigued. I will wait for some reviews to come out once it releases. Really been looking forward to this, although I probably won't be picking it up until later in the year for various reasons. Good for them getting to the full release stage, further updates notwithstanding! Hopefully they fixed the deck of the ship so it doesn't kill the framerate like in the demo. One of the last games I ever Kickstarted. They sent me my key months (years?) ago but I've resisted playing so far. Looking forward to release! Yeah it's super good, I too am waiting for the full release. 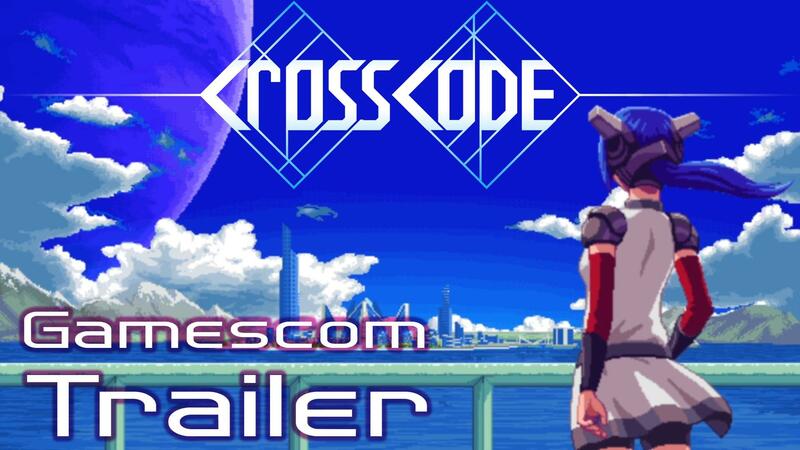 Quote It's been a really long time coming, with the 2D action RPG CrossCode being in development for almost 7 years! It now has an official release date of September 20th. I will buy it for sure, It's on my wishlist for a long time.